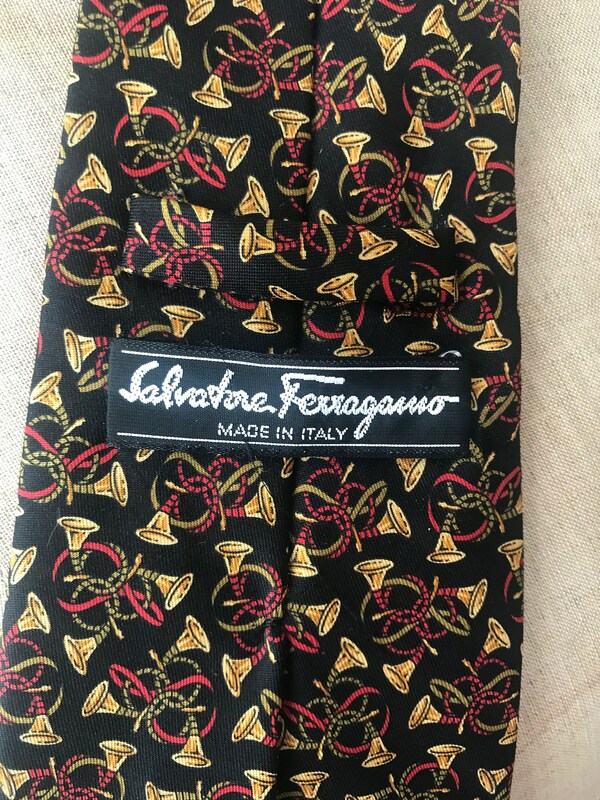 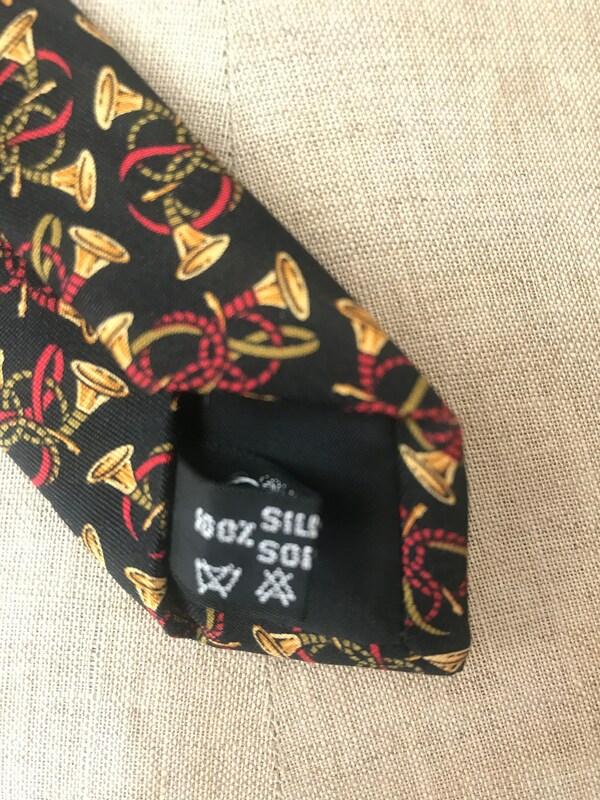 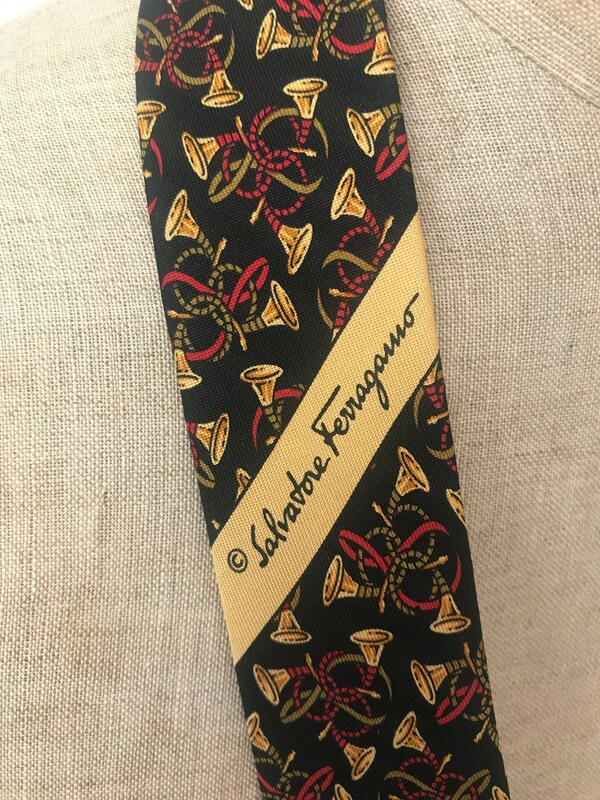 Very beautiful vintage Salvatore Ferragamo silk tie. 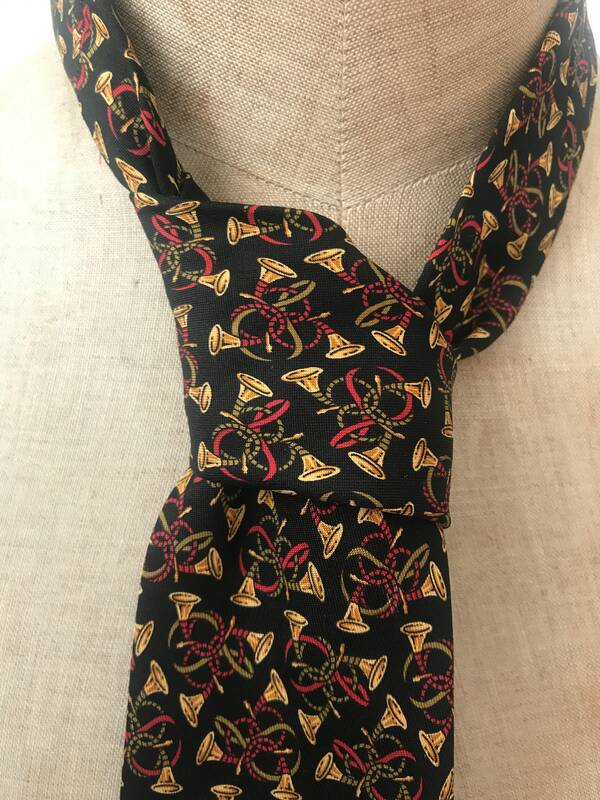 Tie is made from 100% silk fabric and decorated with little trumpets in gold/yellow and red. 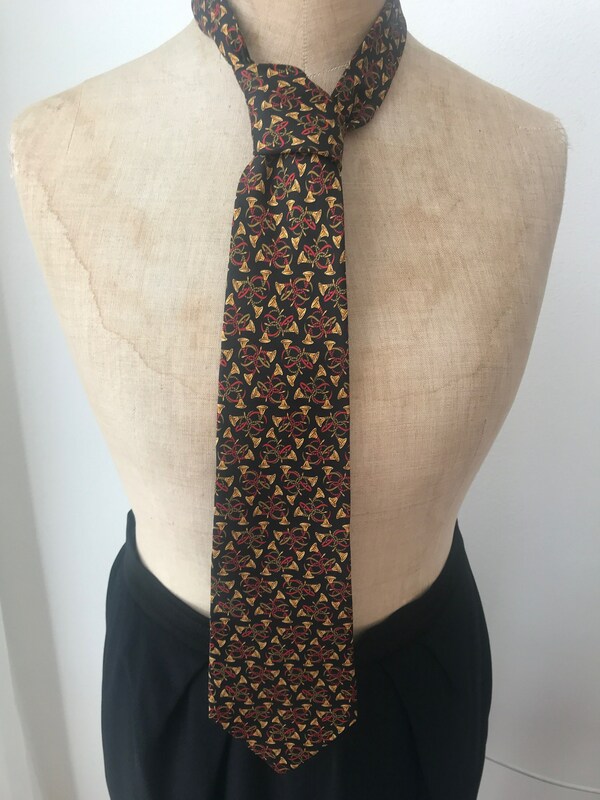 The tie is suitable for many occasions such as a day at the office, a dinner party or visiting your grandma.